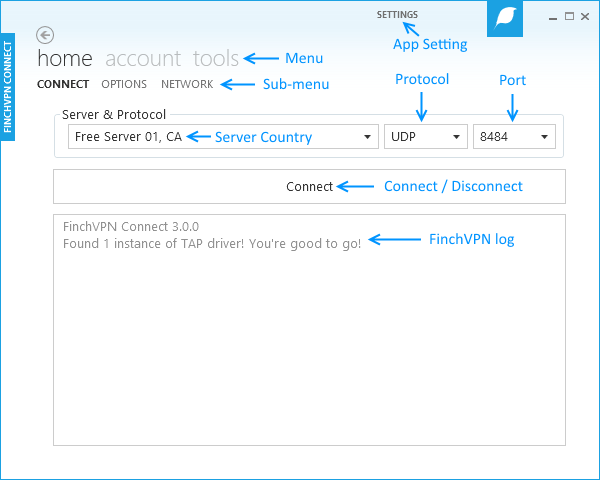 Connecting to FinchVPN from Windows using FinchVPN GUI is quite easy. A step-by-step guide follows. 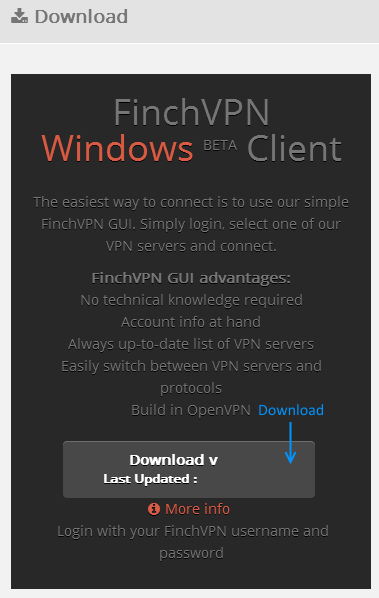 Note: For non Windows 8 user, you will need to install Microsoft .NET Framework 4.5 and above in order to run FinchVPN client. Step 3. From your browser's downloads window, double click .zip file that just downloaded. 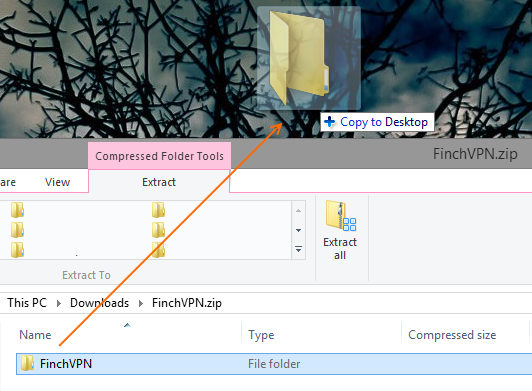 Extract FinchVPN folder to your detination. 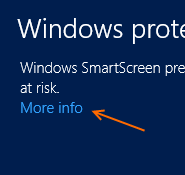 Info Press 'More Info' and 'Run Anyway' if this dialog pop out.